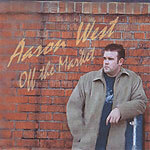 CD reviews: "Aaron West" and "Off the Market"
No wimpy, wispy coffee house folk music here. This is masculine folk music, folk music the way it would have been if Sinatra sang folk instead of jazz, folk that draws on Springsteen more than Stephen Bishop. 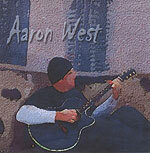 Which isn't to say Aaron West's acoustic folk lacks sensitivity; anyone who ever turned to Sinatra for solace or watched Bogie crack in "Casablanca" knows sensitivity and masculinity have never been mutually exclusive. It's just that in a time when too much folk has been defined down to the stereotype of the "sensitive new age guy," it's refreshing to see a man's man tackle life on guitar and vocals. In other songs, he riffs off of Journey and Aerosmith, playing with both their legacy and their lyrics. But it's on those songs that focus on the deeply personal where West is at his best. On the achingly romantic "Under the Covers," West captures the very essence of love, that overriding sense that the other completes you. "Never Again" is about the hard-earned wisdom a broken heart brings. Both cuts from his first album couple knowing lyrics to easy on the ear melodies. The second album contains several more gems. The opening track, "Weedin in Eden," may contain his strongest pure melodic hooks. "Bathwater Princess" is equally accessible, with an almost country feel to it. He's not possessed of the richest voice on earth, but there is an honesty about his singing that lends itself well to interpreting his music. His acoustic guitar playing, mostly strumming, provides a nice background for his voice. Aaron West may just be starting out on his musical career, but these two discs offer the promise of some very good things to come.